So you’re using WordPress and you are getting a nice amount of traffic, say a few hundred visitors a day. Maybe you love running many of the great plugins that add extra functionality for your visitors. There’s just one problem: your server is struggling with the load and your site isn’t just slow, it’s ssslllooowww! Shared hosting maybe inexpensive but resources are limited and security can be compromised. Dedicated servers are very powerful, can require high levels of technical knowledge for customization and are extremely expensive. VPS hosting can be the happy halfway house. A Virtual Private Server is a physical computer partitioned into multiple servers each with running its own operating system. I contacted hundreds of WordPress experts to ask them about their experiences and recommendations for VPS hosts. Speed, reliability, ease of use and quality of support were considered in the following recommendations. Inexpensive and their support comes highly recommended. 256 MB (burstable to 512MB) RAM, 10 GB storage, 300GB monthly bandwidth for $14/month. Other packages are similarly competitive. You can get cPanel with much higher specs for $50/month with the super Managed VPS Packages. 99.9% uptime guarantee. Sign up to A2 VPS hosting here. Reasonably priced, good support, fantastic recommendations. This is my choice! RAM starts at 300MB, unlimited space and bandwidth. Dreamhost have their own award-winning user’s control panel. Prices start at $15/month. You can change your resource levels on the fly… no reboot needed! Use IWANTADISCOUNT7 as a coupon code to get 50% off your first month if you sign up to Dreamhost. This is all on the cloud – and affordable. Their experts will move your site to VPS.net for no charge. By default everything is command line; cPanel is an extra. 10GB disk space, 1TB network transfer, 376MB dedicated RAM, 1.2GHz dedicated CPU for £15 per month. 30GB disk space, 3TB network transfer, 1128MB dedicated RAM, 3.6GHz dedicated CPU for £39 per month. Their users were extremely complimentary. Sign up with VPS.net here. Used by famous WordPress SEO blogger Joost de Valk (Yoast). Their VPS plans start at $60/month and include cPanel as well as root access, 384MB RAM, 20GB storage, 400GB bandwidth, 4 IP addresses. Their VPS packages support 100 percent network uptime, VPS monitoring and a 30 minute support response guarantee. Virtual private server (VPS) hosting could be a solution if you have outgrown your shared hosting and don,t need to move to a dedicated server. 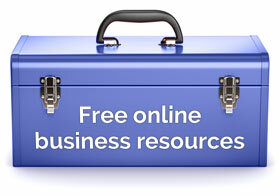 It is the best option for small to medium sized businesses. A site hosted on a VPS gets its own RAM and disk space, however, it shares the processing capacity (CPU) with other sites. Remember, Google includes a site’s speed into it’s algorithm – so a faster running site is not only advantageous to your visitors but also may push you higher in the search engine results pages. The above links are affiliate links and I will be paid a commission if a sale is made through one of them. To command line or to control panel? A web host control panel (such a cPanel) provides a graphical interface designed to simplify the process of hosting a web site. It makes it easier to, for example, move files around, or set up or import MySQL databases necessary for WordPress. Alternatively you can type command lines through a Secure Shell (SSH). SSH is a network protocol that allows data to be exchanged securely between two networked devices. Anything you can do via cPanel is also doable via SSH without the overhead of the HTML, imagery and web server processing so it is therefore quicker. Personally, I find the WYSIWYG nature of the control panel more familiar and intuitive, however, I’ve been using SSH as well and it can sometimes be a better way of doing things. VPS hosting in the cloud or Standard VPS hosting? Cloud computing is run on multiple of servers whereas on standard VPS hosting your site will sit on only one computer with associated backups. For this reason there is usually less or no downtime with cloud based services. Deciding on a VPS host for WordPress is no easy business. There are many things to consider. Above all make sure you pick a host that other WordPressers recommend. RAM: 500MB RAM would be OK for a WordPress site that gets on average 400 visitors a day. If you have any other recommendations or questions be sure to make them known in the comments section! Alternatively, if you find these prices too expensive for you your can try shared hosting for WordPress. Incredibly informative and interesting article. You delivered all the information efficiently and easily. And even today being incredibly tired, I could absorb all of the info and remember. Thanks Rob, I truly learnt something new today .. Keep it up! Thank you, Henry for your truly encouraging remarks! I’ll keep on plodding away. All the best! This was a good idea for a blog article, Rob. For the novice site owner, it can be easy to get confused by hosting plans and the response frequently is to go for the very cheapest option, which may not suit the site’s needs. Thank you, Tracey, I spent a good month researching this and, you’re right, it can get very confusing! Hope all’s well with you. Very interesting list you have there. I am very thankful for your effort so that I didn’t have to go through the trouble of researching these myself! Thanks. It would also be helpful to have information on a website hosting’s downtime. We all know how their downtime is not only frustrating, but potentially devastating for online businesses. Thanks, Jamie, good point about downtime. Not surprisingly, I’ve always found that information quite hard to come by and then when you see it (excuse the cynicism) how do you know it’s true?! But an interesting factor to write about on another day. Cheers. Thanks Rara, hope it works out well. Great list. I think i favour LiquidWeb ahead of other VPS hosts that you stated. They have one of the best reviews, VPS wise. Hello Afam, those that use LiquidWeb speak very highly of it. They are a small company compared to some of the others. What a fantastic article.I’ve previously wrote a similar article, (though not as in depth), and have learned an awful lot from this post..
That’s great Monty, glad it helped. Thanks for the tips. My shared godaddy is getting, as you say, sssslowwwww, have about 50 sites with about 50k monthly page views. Hi Rob, are you still happy with your Dreamhost VPS?. I’ve just tried A2 but something is serious wrong them at present. I’m not set up properly and their chat has been down for at least 3 days and my ticket are not being answered. It seems this is recent, but now common thing. Hey, David, they’re OK. I’m not over the moon about their support. They can be hours responding. Even worse they were 7 hours offline the other day. It was probably a one-off but difficult to deal with at the time! Another thing I found is that you shouldn’t go for the cheapest VPS package. Or you can start with it but you can bump up the RAM in the admin area by, I think 100MB for $5 a month. I kept on bumping it up and as soon as I put it onto 500MB it was alright and still pretty cheap. Other Dreamhost bonuses: really easy to host email with Google apps – putting your email through Google Apps is really good, I’ve found. Your problems with A2 sound dreadful. That must be a one-off. And they should give you a rebate. Good luck! Thanks Rob, you have been incredibly helpful again. After reading up a bit I concluded that (if running a control panel) it was best to have 380+MB. I went for A2′ hostings 768 MB package (Burstable 1536 MB) – $50 monthly. Folk with .coms maybe be OK with them. I used a .co.uk and their system generated the account as .co. They acknowledged this problem before turning of the lights and hiding behind the sofa. What fun! Quick update – A2 swung into action when I cancelled the account and resolved it with lots of apologies. Just in time. Well, that’s a black mark against A2’s name. But good that once they realised their mistake they tried to do the right thing. Good to hear your comments on RAM and pricing. I hope to write more about hosting and server specs in the future. Best of luck with the dot co website! What I am looking for is the alternative for cpanel. It is too costly & if there is any good alternative, the cost of vps could come down drastically. Hello Amanda, it depends why you require cPanel but Dreamhost have their own award winning control panel that they don’t charge for which provides most if not all of the functions cPanel does. And their VPS packages are reasonably priced. Hello Maxim, I wouldn’t say that the offer sounds that dodgy. Not too much and not too little. GoDaddy’s shared services have been almost universally reviled. But I heard of one company that were using them for WordPress multi-sites very successfully and that it was a new hosting deal from GoDaddy that they were using. Maybe this is it? Sorry I can’t be of more help, Maxim. Thanks Rob – an extremely useful list! These are quite large companies, Cos, so they may have an Australian server. Although I’m London based, I’ve always used US hosts. You can specify your geographical location in Google Webmaster Tools and I’ve always done well in local and international searches. However, some companies may require being hosted in a certain country for SEO purposes. Very interesting article. I work for a small charity and we have a shared hosting account with Heart Internet. We have been with them for about two years and at first all was well but more recently our site has crawled along and sometimes disconnected from the database. This is usually in the afternoons and has happened countless times with very little explanation from their support team. Maybe too few resources on their servers? Anyway, we are now looking at moving to VPS hosting for better consistency. Just wondered if anyone can recommend a company with UK based servers that are reliable? Cheers and really enjoy reading your articles Rob as they are clear and to the point. Hello Jean, there is a company I use called Vidahost (affiliate link) and I can personally vouch that their servers are ultra-fast and the support is extremely good. Other than that I haven’t used many UK hosts. This has been hugely helpful, thanks! From my experience, shared hosting works for only the smallest and most streamlined of websites, and the reliability just isn’t there. I hate to say that your list is not the best ! i hate the way you use affiliate links ( making money doesn’t mean you mislead people, some hosts in the list are the worst ). Jean, this list of hosts was put together having consulted over 100 WordPress experts many of whom use multiple VPSs. None of them mentioned the hosts only you recommend. What’s best, one person’s recommendations or the survey of over a 100 people? I know which one I’d prefer. And many other people have thanked me for the information on this page. I would be helpful if you could tell us about your grievance(s) with whichever host(s) you have. Maybe I or somebody else could help. I regularly inform the visitors here of affiliate links although it’s not on this page as I originally wrote this a while back and it was one of the first articles I wrote with affiliate links. If you don’t like affiliate links (again, you don’t say why) then I can only suggest that you avoid the internet. If you’d said that affiliate links could prompt a false recommendation then I’d agree that that maybe is an argument against them. However, whether you believe me or not (I don’t care but I do care about what other people think of me and this site), these hosts came out on top of a survey I did amongst WordPress experts and I didn’t add any due to any favorable affiliate scheme. How much differece do you think it makes to page speed having the site located in a different country? Thanks, Samuel, I think it makes a slight difference. In a perfect world get a host located in the country where most of your visitors/customers are. I know I’m a little late here, but I wanted to personally thank you for recommending us at VPS.net. It’s greatly appreciated. We’ve also upgraded the bandwidth allowances per node to 1TB now since the original post. Thanks so much for this article and the one about shared hosting. I appreciate that you consulted so many WP users for their opinions. My problem is that I don’t know if I need to jump to a VPS. My site is a niche literature review site that doesn’t attempt to make money other than by linking to Amazon in our book reviews and hosting a couple of discreetly places ads. Therefore, I don’t really want to pay for VPS if I don’t need to. But my site is with Godaddy and is extremely slow. There is a “known issue” with the server I’m on and they won’t migrate me to a new server (though it may be an option if the issue isn’t resolved). The site gets about 1100 page loads per day from around 650 unique visitors daily. Is shared hosting still appropriate, or do I need to pay for VPS and try to generate more money (something I don’t want to do). I also hate moving the site. I did it once and it was a nightmare. I had to move back to GD when I discovered that the new host was missing something I needed for WP. Thanks again for you work! I’ll click through your links to look at the other providers. Hello Kat. If I was you I would definitely move. I’ve heard nothing but bad things of GoDaddy shared hosting and I’ve had the displeasure of experiencing it first hand with a client’s website. But, maybe you could just move to another shared host. Many host will move the site for you either for free or for a nominal fee. This may be a better option for you as you won’t really lose much money at the end of the day. After moving you could then have a look to see if there’s anything else slowing down your site, but I’ve had a look at your site I can’t see anything that should cause unnecessary page load times. Contact a few of the shared hosts pre-sales teams and mention all the special plugins you use for this site. They’ll assure you that they can cope with them. But one thing’s for sure, your site is so slow at the moment that moving will gain you visitor numbers, pages per visit and time on site! Let me know how you get on, Kat, and thanks for your comment. Hi Kat. I would agree with Rob’s comments above. It may be a good idea to move to another shared hosting option. 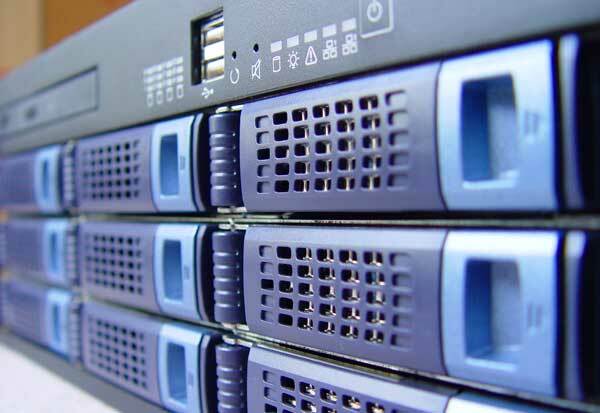 Some hosts then have other options to switch to a VPS if the need arises. I used Vidahost recently to move a site with two databases and you can request assisted migration. They did everything and it was so painless. So yes, nowadays it’s a lot easier to move a site than before with so much help available. Hello, Jean, I’ve just moved to Vidahost as well, and, so far, I’m really happy. They are a great host, based in the UK. Yes, they are very helpful and do the migrations very well, and for free! I forgot to mention that with many hosts you can seamlessly move from shared to VPS so she doesn’t have to make her mind up straightaway. Thanks for pointing that out. The most important thing for Kay is to take her hosting away from GoDaddy as soon as possible. Thanks so much, Rob and Jean. GoDaddy has refused to move me to new server even after their “known issue” with my server was resolved and my site is slower than ever. They say I should use a private dedicated server, but they won’t sell that to me because I haven’t managed my own server before. I told them I was leaving after 5 years and the tech I spoke to basically said “see ya”. I will move to Dreamhost, Bluehost, or Westhost, but haven’t decide which yet. If I go with Dreamhost, I’ll click through your link, Rob. Any thoughts on Blue or West would be appreciated. I am not looking forward to this…. Hello Kat, I’ve used Bluehost and Dreamhost and they’re both fine. Dreamhost lets you move from shared to VPS seamlessly and then increase the RAM on the VPS seamlessly. However, as all are probably fine, I would choose the one that offers free migration as that will save you time. I should think the prices are all quite similar too. Good to know! Thanks so much, again! Thanks, Kat, good to hear. If I may add my 2c here. I am an experienced VPS user..well relatively I would say. Been using them for about 2 and a half years now, with 13 VPS’s currently operational and roughly 40 different companies tested. (i) Price of a VPS doesnt necessarily mean a good or a bad VPS. (iii) Recent developments in VPS Technology and Internet Bandwidth worldwide make VPS’s available that you could only dream of [ or i could only dream of ] five years ago. Hell, even two years ago. You can get 10mbit, 100mbit, 1Gbit, 10Gbit Connections ! I digress..
(i) If you have a small site [ less than 10-12GB] and or you require lots of database reads , get a SSD hard drive VPS. Thats a Solid State Drive, so no moving parts in the harddisk makes it read , and by definition, load faster. Multi-core processors never hurt. (ii) If you have a much larger website, go for the higher bandwidth Packages. Hello Faruq, do you have any personal connection with these companies? Personally I wouldn’t risk a website with such small, unheard-of companies. They have no information about who’s behind them and WSWD.net doesn’t even have a working contact page. Such levels of unprofessionalism are a complete red flag for me and I would not advise anyone taking you up on your suggestion. I apologise if you are genuine. But this looks dodgy to me. That is fine if you feel that way, however I believe my post contributed more than one URL to this post. Feel free to ask me questions about any of that content. well, thats one way to make someone’s good intentions turn away. I mentioned server bear to let people make their own selection. ‘Big Names’ include Go Daddy. Seriously Offended. Thirty Minutes Poorly Spent Contributing Here. In fact, I suggest you run a Benchmark on the $60 dollar or $40 packages you’ve subscribed to, and compare it to the values on the site. Why are you offended, Faruq? I apologised if I’d got you wrong. WSWD.net are a small young company. What sort of recourse do you get from a hosting company that’s only just started (even worse, only just started supporting WordPress and this is about VPS for WordPress!) if you can’t even use their contact page? I am being totally transparent. I’ve used these companies’ VPSs and I’ve had them recommended to me by WordPress professionals. Why don’t you link to a working WordPress site on a VPS so we can see what it’s like? I advise people against GoDaddy in my shared hosting for WordPress article. Why do you think you have wasted time contributing here? I didn’t delete your comment. People are at liberty to follow your advice. I just disagreed with you that’s all. I might be wrong but I’ve had many web hosting companies and affiliates leave comments here and your comment looked like one of those. It looks like I was wrong about that. But my reasoning behind my comments was sound and I stand by it. Just wanted to set a few matters straight. Firstly, you are correct, our contact page was probably not working when you checked it. We had an issue on our main server that caused our SSL installation to become corrupt. Since the contact form uses https, you were probably receiving a 404 error. That has been fixed as of a few hours ago. Secondly, we have been in business longer than any of the big name hosts, and most certainly longer than any of the smaller hosts. Not really sure where you get we’re a small company. We have been in business 16 years (1996) near the Los Angeles area. We are a registered C Corporation (in good standing, of course), which I can assure you that most other hosting companies are not. We aren’t as big globally as some of the other companies out there (HG, Godaddy, etc. ), but we have done TONS of business at the local level, and have thousands of satisfied clients. In fact, we really hadn’t even started advertising our services globally until around 2010. Haven’t needed to. We also did communications (2-way radio, repeater, etc.) setups, server installations, and network installs for some of the largest corporations in the Southern California area. We’ve done everything from most of the big-name casinos to new Wal-Marts and local businesses. Now that we have sold off that division of our corporation, we’re concentrating simply on the hosting aspect of our business. Thirdly, we have not just started supporting WordPress. I honestly don’t know where you come up with this stuff. What we just started supporting was Turnkey Linux’s edition of WordPress on our VPS servers. Clients have been using WordPress on our servers since it was first introduced. And finally, Faruq has no connection with our company, no affiliate account, etc. He contacted us a couple days ago as someone who is interested in our SSD VPSs, and that’s it! If you have any further questions, Rob, I would be more than happy to entertain them. I simply wanted to clarify the misinformation you have on your site regarding our company. Hi Bryan, thank you for your comment. Firstly, a 404 on your Contact Page would have been bad enough, what I got was a red warning screen in Chrome saying the site is unsafe. Can you not see that it a red flag to a potential customer? Secondly, wswd.net was only registered in 2002 and has a Google PageRank of only 2. You may think this is nothing to do with you and not your fault but I’m telling you this is exactly how many people will judge a potential host. You may have been in business for a long time but I think my visitors would prefer an organisation with long-term WordPress hosting experience on a large scale that the other companies listed here have. I’m sorry, to me PR2 means a small company. Thirdly, Faruq above said you only just added WordPress to your SSD VPSs. I was only going by what he said. – Your site is slow, both now and when I checked earlier. – The support forum has only a few posts. – The About Us page doesn’t have any names of photos of the real people who work there, or even who runs the company. – It looks like you’ve only spent $100 on design, there’s no favicon, the JS slider doesn’t work, the text runs over the 100% satisfaction guaranteed icon, I could go on. If you can’t get simple things right with your site how do I know you’ll get things right with hosting anyone else’s? I apologised to Faruq for misjudging him and he choose not to accept it but I do not apologise for trying to supply my visitors with information so that they can choose a good host. I disagree that there’s any misinformation here. Proceeding to discuss this matter between the three of us serves no positive outcome for either party. There is a difference of opinion and judgement here. Best to part our ways and wish each other the best. Any further discussion detracts from the purpose of this blog and further doesn’t offer anything positive to readers. All I will add is that I do not know anybody that goes around selecting VPS’s using the criteria Rob listed in his previous post – webpage design and PR ranking – faulty contact page I can understand as a red flag to which Bryan sent a clarification. Any serious admin looks at VPS performance, company track record, reviews of support and service, network routing, their budget, and the deployment platforms available. Its a difference of opinion. I also just noticed you’re located in England, which would probably explain some of the “slowness” you are perceiving. The majority of our servers are located in Los Angeles, California, with a few out on the east coast. The ping times are obviously going to be higher from England to the west coast of the US. Perhaps our North Carolina servers would be a tad more speedy for you. We are a US-based corporation with US-based clients as our target audience. We don’t try to target the English. If our site is slower in England, we don’t lose any sleep over it. Rob, I had a pretty long reply I typed to your last one, but it didn’t go through. Perhaps it was too long? Not sure, but it didn’t post. Thanks for the comments Rob. They simply indicate your lack of knowledge with the hosting industry. Like I said, we have been hosting WP sites since WP first came out. The Support Forum does indeed only have a few posts. We were actually thinking about getting rid of the forum entirely, as very few people use it. Like I said, the overwhelming majority of our clients are small business owners, who quite frankly, don’t care to come to a forum and post. They have a business to run. If they have a problem they submit a ticket, and it’s answered usually within 30 minutes (in fact, we guarantee it!). Personally, I think an About Us page with pictures or names is a bit cheesy and overdone. Funny, I couldn’t find such a page on any of the hosts you recommend either. Any idea why? Perhaps I just missed it, as admittedly, I didn’t spend much time looking. This site receives millions of visits a year from all over the world and this page performs very well in search engines for certain “money” keywords so I have had to be careful and would ask everyone else to exercise the same care. I have strict discussion rules here and if people take a point out of context and disingenuously use it to misrepresent what someone is saying I then delete the comment and subsequent comments are held in a moderation queue. I know you probably feel I have done this but it’s been unintentional and I’ve apologised for it. My site, my rules. I will explain my opinions once more and leave it at that. Firstly, Faruq, we agree there’s a difference of opinion here. This is a design and marketing blog, and we believe, as Steve Jobs said, design is not just what something looks like and feels like. Design is how it works. wswd.net is not just a site that doesn’t look right is also doesn’t work. My readers will judge a host by the design of their site and rightly so – they’re designers. If a host can’t get their site to work, people will wonder if they can get any site to work. It’s human nature. Since wswd.net as a site has been live since 2000, a PageRank of 2 means they are not a serious company for the purposes of this article (remember: this article is about RECOMMENDED hosts for WORDPRESS – the most popular CMS on the planet). If they had been a good host over a two or three year period, people in WordPress community would link to them and say “hey, this is a good host”, word would spread around the internet and their PageRank would rise. It hasn’t. So we can’t be sure about them. Secondly, Bryan, your company is not a serious contenter to be recommended as a VPS for WordPress if your sites don’t work properly outside the US, as those recommended are US based and the sites work well outside the US. My readers are from Europe, Asia, Oceanian as well as from the Americas. I do use some of the companies I’ve recommended on other sites. I’ve just moved this site to Vidahost (a small host – so I’ve got nothing against small hosts) which I will be pleased to add to this page once I’m sure they come up to scratch. I’ve only been with them for over a month and they have been really good so far. I was correcting you to say that your contact page has an unsafe site warning not, as you said, a 404 and that means a lack of knowledge within the hosting industry?! I never said I had knowledge of the hosting industry. My point about the registration of your domain (see above) is that you have a lack of authority despite being registered a long time ago. Being registered 2 years earlier than I thought makes this worse not better! As for hosting WP, my readers are interested in hosts with experience in tweaking the environment specifically for WP which is what the above hosts do. An active support forum is something I look for in a host as I’ve found them really useful time and time again. Also, if you’re in the https parts of your site and click on various links like Company Info and Support Centre, the website breaks. If you’d addressed the points in the discussion with a more conciliatory tone you would have connected with an audience and that could have been beneficial to your company. Other people will read this discussion. Honestly, Bryan, you’ve missed an opportunity here. I’m sorry if I’ve offended either of you. It honestly hasn’t been my intention. I’m only trying to offer quality free advice to my visitors. Usually, we don’t get discussions that take this turn here. I sincerely apologise if anyone feels they’ve been misrepresented. But I think everybody has had their say now and people are free to click on the links and see for themselves. Is it possible no experience at all or must I do a course on server management? Hi Greg, it is definitely possible to run your own VPS without any experience however, with most VPSs you are responsible for your own server. That is why it’s so important to choose a host with good support and a busy forum. Forums are particularly helpful as you get advice from other users – which is sometimes even more helpful that from the support guys! Any of the above VPS hosts have good support and good forums. I hope this helps. Hello Rob, it is a wonderful blog post. However, i have some doubts in my mind, I will be grateful to you if you could clarify them. In shared hosting, pay the fee, go to cPanel, install the WordPress and set Admin password. Now we can go to site-address/wp-admin to do various task. I heard that in VPS and in cloud hosting things are not as easy as in shared hosting. Moreover, here we have to pay for cPanel as well. Can you give a short procedure to install a wordpress blog in vps hosting as i have given above for the shared hosting? Hello Fahad. This depends on the VPS you are using. Some are totally user managed and you’ll have to buy and set up cPanel yourself if you want it, others come with a different type of control panel (Dreamhost), some come with cPanel installed like a normal shared hosting set up (Vidahost). So it’s something you should ask about before purchasing. Hi….This article is nice. I stumbled upon this when I was trying to find a good vps host for my wordpress site. WordPress can be very resource intensive and a shared environment may not be sufficient to host. All the host mentioned in this article are good, however I tried to go with the host that I had my shared site before. Hey Alfredo, I hope you like it here so much you return! Thanks for the comment! I am using Business Hosting Package at Gator but My site gets 2000 visitors a day so sometimes it very slowly. Now, i want upgrade my hosting package to a VPS package and i need you give me some opinion. Thanks so much ! I’ll come back. Wow, congrats on the traffic, Ricky. Let me know if you have any questions.